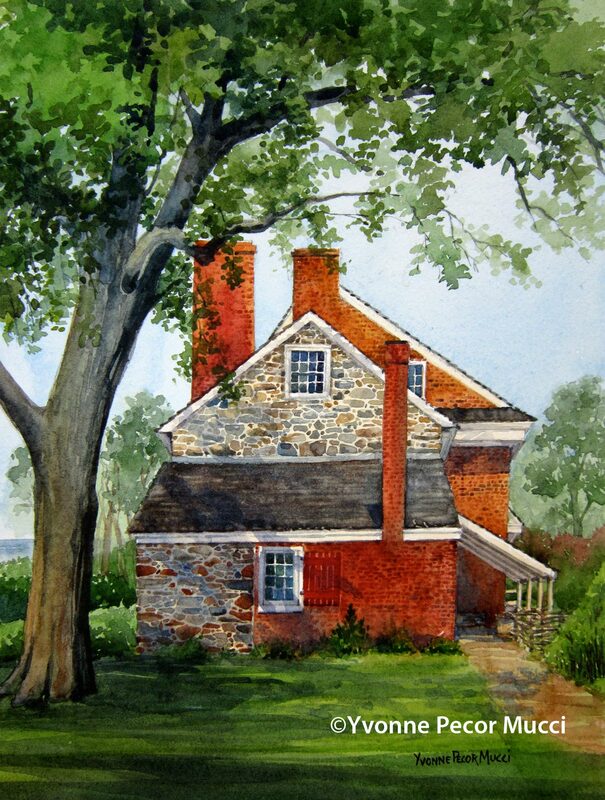 The 1748 James & Ann Whithall home sits along the Delaware River across from Philadelphia. Patriots defended the river against the British during the American Revolution. The home was converted to a field house. This watercolor was painted on location during two weather perfect days. It is of the home looking north. The river sits to the left. Red Bank Battlefield is well worth the trip, especially if the house is open for tours. Frame size is 11 x 14, mat opening is 8.5 x 11. Inquiries to mucciyvonne@yahoo.com ©Yvonne Pecor Mucci. All rights reserved. Do not copy or reproduce site contents without my written permission.